On today’s episode I’m sharing my full review of the 110V, 1.75HP SawStop cabinet saw I received as part of an advertising deal back in October of 2012. As I had mentioned in the previous video “Hello New Saw”, I wanted to spend a little time with the saw before I shared my opinions about it. And that’s exactly what I do in this episode. It’s been a little over 6 months and I’ve had a chance to build a few projects with the new saw, this has allowed me to get a “real world” feel for whether a saw like this is worth the investment for a home woodworker or serious hobbyist. Of course what would a SawStop review be without firing off the braking system? So we do that today too, in fact we do it TWICE just to show off that flesh isn’t the only conductive material that could set off the system. I love the little hiccup noise after the saftey fires on the kielbasa. Hee hee! I’m going to let folks believe that was the saw LOL. You have now said “to be quite honest with you” 83,567 times. Seriously dude, no one is that honest. I believe you are telling the truth by default – no need to keep reminding me. Honestly I know I do and I can’t stop doing it! I’m thinking i should post a second version with Pop-ups every time I say “honestly” and let them fill-up the screen CHORTLE! Thanks for the great review Matt! I’ve had my eye on a Sawstop for awhile now. I just purchased a Festool TS55 for breaking down sheet goods, so I’m thinking that might set the need for a monster cabinet saw a bit lower. I was just curious about the power. Do you feel like it bogs down at all on 8/4 stock with a good blade? Just wondering if a 3HP model is overkill for a hobbyest? Like I mentioned in the video, I still think with a nice sharp blade and the correct feed rate even 8/4 material on this version of the saw can easily be tackled. While the 3HP is pretty powerful, I just don’t ever see the need of it for the vast majority of hobby woodworkers. I have had my SawStop for about nine months and I agree with all of your comments. On a safety note, never forget that the 3 inch rule applies to the SawStop too. Simply put the 3 inch rules states that you should never get your body within 3 inches of a moving blade. Two days ago I took a small chunk out of the end of my thumb. I did not set off the SawStop because I touched the spinning blade after I had already turned the saw off. Just not paying attention. George I hope you’re ok…even a small chunk of flesh can be a serious injury. Thanks for sharing the reminder about the 3 inch rule. I have the CNS175 Contractor version with the 36″ table length and I have to agree with you on every aspect of the saw. The one thing I hate on mine is the wheels add-on, only 2 of them will turn and 2 of them are fix. with a 11’x 15′ shop, it make it a bit hard to move around. Sounds a lot like the system I had on the Steel City, except that one was tripod system and it took a lot more back and forth to get it where I wanted it. That’s very tempting…I bet a lot of folks would at least enjoy seeing the action LOL. Nice demo Matt. Solid info the the common woodworker, be they hobbyist or professional. I snagged a used Industrial 5HP Sawstop on Craigslist two years ago this coming summer. I updated to the over-arm dust collection. It replace a very capable Jet Proshop 1.75HP “hybrid”. The Jet served me well but I was looking at the 3 HP Sawstop in the 52Z” configuration and hadn’t even considered the 5HP. WOW, now I know what all the 5+HP users have been talking about. To answer one of your other commenters about power, the 5 HP hardly changes pitch in the whine when cutting 8-quarter ANYTHING. I just finished ripping about 50 linear feet of 6-quarter Bubinga. Never faltered. I know the Jet would have struggled. From my perspective of owning a 2HP Shopsmith, a 1-3/4HP Jet, and now the 5 HP Sawstop, my advice is if you have the 230v power available and can afford the $’s, more HP IS definitely better. I’ve also have had the pleasure of using several Powermatic models, including the 66, etc. and a couple of generations of Delta Unisaw in both friends’ workshops and in a membership shop I used to use. I’d take my Sawstop over any other cabinet saw I’ve previously used. IF that wasn’t true, I would have “flipped” my Craigslist find and purchased an alternative. I will tell you my wife wishes all my power tools had the “stop” feature, especially the band saw. It would make her a LOT happier. OK, there have to be a few cons… I’m not happy with the attachment of the outrigger legs to the extension table. When I received my used saw, the threads on the screws were already stripped out of the table top. I subsequently moved them, and they quickly loosened again. Finally, I counter sunk flathead bolts through the table top and fastened with Nylock nuts and split washers. Haven’t been a problem since. I also have fussed around seeking better air flow for the over-blade dust collection. The blast gate trick seems to work and my theory is it causes a better Venturi effect across the right-angle opening for the tee to the smaller diameter hose. Would be nice to model the flow on a computer, but I don’t have the software or incentive to do so. Perhaps one of your readers would like to take a crack at it and share the results. Been making firewood in 12 or more exotic species for over 50 years…..
Steve thank for the information! It sounds like you like your SawStop LOL. Great I have been waiting for this review. I’m convinced and after my wife saw the safety demo she said you have to get that one!! Only question is does anyone have any idea how to ship one down to Mexico?!?! Avoiding the crazy import costs if possible! I’d offer to deliver it (assuming you pay for it before I get to the store to pick it up LOL) but thanks to some “friends” with me on Spring Break back in 1992…I’m not sure if I’m allowed back across the border. This was such a great informative review Matt, great job! I’m so jealous, would love to have one of these in my shop too… Especially now you have given me a better look at it! At least now when your ‘little helper’ pet cat jumps up on the table there is no chance of him ending up with a stump tail! I keep the door to the shop closed to avoid these kinds of accidents and also the ones that involve him using an piles of sawdust and shavings I forget to pick up as an second litter box CHORTLE!!! Usually I don’t watch reviews because I don’t have any major power tools but this was good. I have had my PCS-175 for a year now, and couldn’t agree more with your findings. I never use the standard blade guard … I either use the over-arm dust collection guard or the riving knife for standard blade cuts. I have a Colli-Beck throat plate (CNS machined with replaceable inserts) … I heartily recommend that as an upgrade. I have a different insert for each of the common dado widths I do … made my inserts out of recycled oak flooring we took out of my neighbors house. You can overcome the problem with the fence by, first, adjust to get it as close as you can, then second, pull the handle toward you as you slide the fence along the scale. I have found that eliminates any movement when I lock the fence down. Thanks for the tips Gerry, much appreciated! I used to own a Jet contractor saw with the 1-1/2hp motor and found it to be reasonably powered for most all my projects, even as a pro contractor. Base on that experience, I think the 1-3/4hp motor should be sufficient for most hobby woodworkers doing the typical projects you see in the books and magazines. I used that saw about 3 years and was quite happy with it. I upgraded when I was approached by a local store with a really great deal on a Jet cabinet saw with a 3hp motor and 52″ rip capacity. It was a special order that had never been picked up and they had been sitting on it for a year, so I snagged it for $700 and got a $100 rebate on it from Jet. I will admit, now I have the 3hp motor I would hate to go back, but I did get along just fine with the 1-1/2hp motor before. Great demo. The only concern I have is the false feeling of security it gives. A person could get too complacent and have an accident. I know it’s supposed to be fool proof, but any device can fail. Be safe. Dan … To the contrary, I think the SawStop has made me more aware of safe operation at the tablesaw. I know that if I make a mistake, it could get expensive … the brake costs about $70 plus the cost of a new blade. I think about it every time I fire it up to make a cut. It has also pushed me to use MDF sacrificial fences on my miter gauges, tenoning jig, etc. Full disclosure: I was using a Mule aluminum fence on my Incra miter gauge a few weeks after I got my SawStop. I had neglected to tighten the thumbscrews on the Mule and was making a cut when … BANG! The mangled cartridge and blade are prominently displayed in my shop as a constant reminder that I need to check/double-check the setup before I start making a cut. I would rather sacrifice a blade than damage the arbor shaft. Plus, I suspect it would be far more difficult to grab/stop something that is only 5/8″ than something that is 8″ or 10″ in diameter. I’m late to the party as always… But I wanted to say i love the review and i really want this saw. Please tell your sponsor that they should expand to the European market. Or perhaps find a way to send me one without the ridiculous shipping costs and gigantic import taxes. 😉 I truly envy you american woodworkers! The range of good table saws avalible for you is amazing. Better late than never. Thanks for watching and the great comments. Khaled — If you buy a SawStop, you will not be sorry. I have had mine for almost two years now, and really enjoy using it. Matt’s review is spot on. I bought the saw! I’ll bring it home on Saturday. I kinda wanted the PM2000 but the SawStop is better overall (not trying to start a war here). It feels odd not spending half an hour a day looking through craigslist for a saw lol. Congrats! You can still look through the ads on Craigslist and then just call and pretend like you’re really interested, set up a time to check it out and then just never show up. Enjoy the saw…and thanks for watching the show. I really appreciate it. Enjoyed your review. It looks like you have the Limit Rod on the blade guard on upside down. Is there a reason for that? I don’t remember for sure, but I think it came out of the box that way? Thanks for the quick reply. What do you think about the limit rod, has it been a useful feature for you? Can you leave the dado brake in place for regular blades, or do you need to swap it out when setting up the stack? Unfortunately you will need to swap out the cartridges. The dado version is a little more shallow than the traditional version, so it wouldn’t work. The design is such that the brake’s face has to be a given distance from the blade, and since it’s an 8-inch dado stack versus a 10-inch blade it wouldn’t allow the regular blade to operate properly. When using a dado blade, can you operate the saw without the brake installed, assuming you’ve turned the key off that triggers the braking mechanism. Yes, you can alway defeat the sensor system. However, that’s a bad idea. It only takes about 30 seconds to exchange the brake cartridge. I think 30 seconds is a good investment since you’ve already taken the time to install a dado set. Fingers are SO hard to grow back, and fingers removed by a dado set have NO chance of being reattached! Actually you need to have a brake cartridge installed at all times for the saw to operate, even with the the by-pass system turned on. And you can’t use a standard blade brake cartridge in place of the dado version either, there’s too much of a physical difference between them and the system will detect it. Even though the by-pass system is engaged, it still requires the feedback of the electrical circuit to turn on the motor, so therefore if the brake isn’t in position or there’s too much distance between the blade and the brake it won’t allow the motor to turn on. The by-pass system simply stops the brake from firing if detects something that would ordinarily cause it to engage, it doesn’t turn the entire system off. So in order for it to work at all, it has to be running as it normally would. great job on review. My question is, is this saw worth say $1000 more than other really good saws minus the safety feature. is it $1000 better? That’s a really good question, and you’re not the first to ask it. I have never had an opportunity to work with other saws of a similar class. The closest would have been my old Steel City Granite topped cabinet saw. Still, when I compare the SawStops side-by-side with comparable models from other manufacturers, it appears they are equal in just about everyway. They’re solid, well built tools that happen to also have a safety feature, which you hope you’ll never need, but if and when it gets fired off, you’re so happy and appreciative it’s there. While I won’t go so far as to say “absolutely” it’s the best saw hands down and no one else comes close, I will say, it’s easily at the top of the list, if not in the top 2. Worth $1000.00 more. Since I’ve NEVER had to adjust my Saw Stop since setup, and it pretty much insures the continued use of my fingers and thumbs, I’d have to say YES! My SawStop (PCS 1.75hp … same as Matt’s) was near perfect right out of the crate. In the nearly four years I have had it, I have never had to make a single adjustment … the blade to miter slot alignment is dead on, and the fence is within 3-thouandths of perfect. The machine is rock solid, and a pleasure to use. 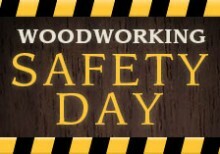 « Safety Day is almost here!